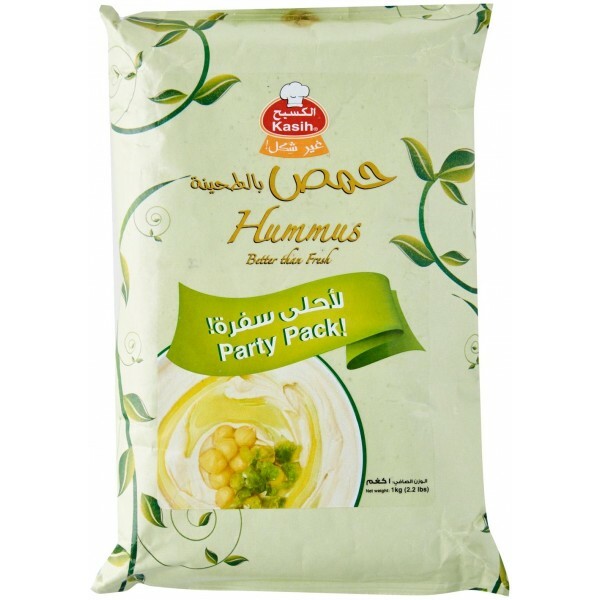 Looking for hummus? Delicious and Healthy gluten free spread of chickpeas with tahini (sesame paste), citric acid and salt. 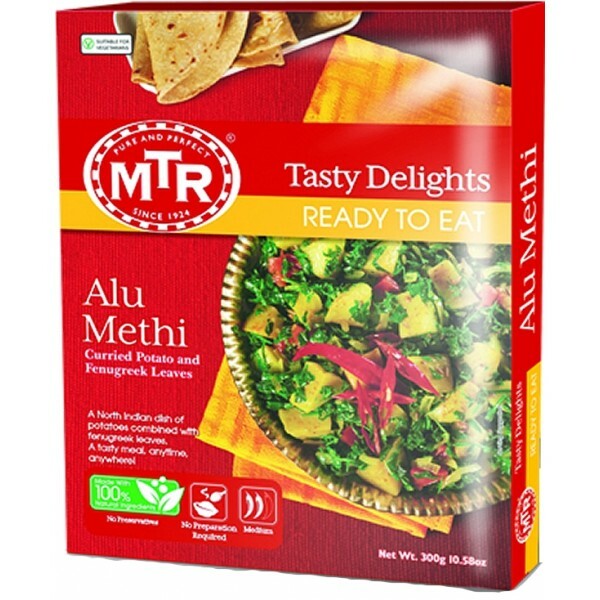 It is a favorite among vegetarians for its distinct taste and high nutritional value. A popular Mumbai snack made of potatoes and vegetables. A tasty snack, anytime, anywhere! Fully cooked; just heat and serve! Originating as "Street Food" in cities like Bombay & Delhi. 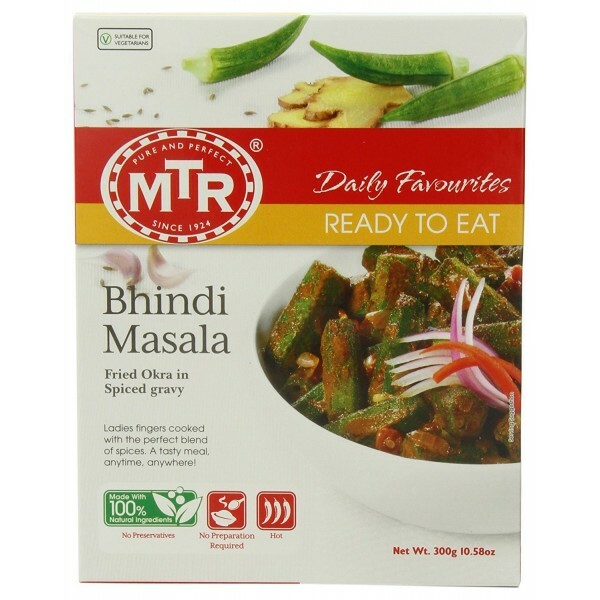 It`s enduring popularity made it a part of regular Indian cuisine. It`s nutritive too. 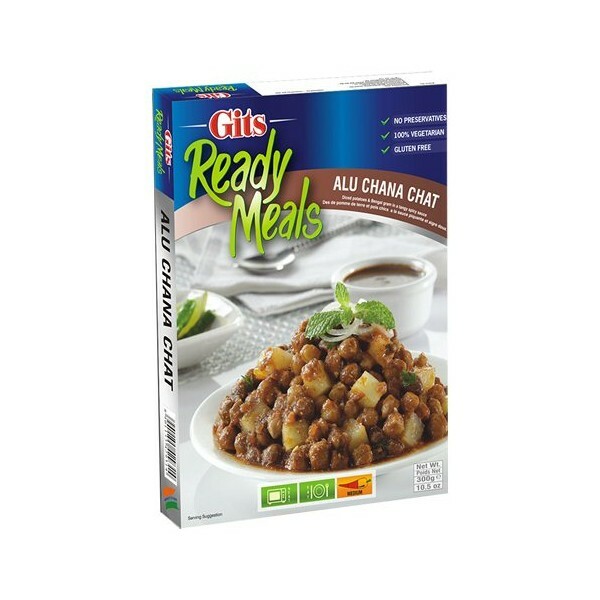 It is a well known fact that Bengal Gram has appox.18% protein. Relish the delicious spicy-sour taste of this unique ethnic specialty garnished with fresh green mint leaves & Cilantro. 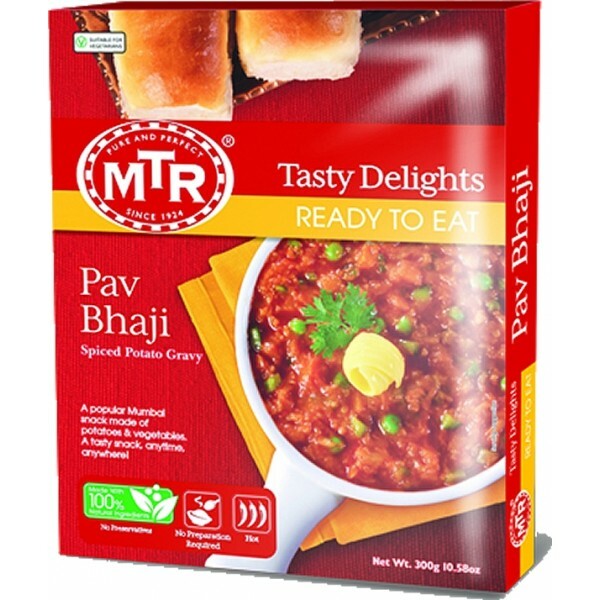 A North Indian dish of potatoes combined with fenugreek leaves, a tasty meal, anytime, anywhere! The crowning glory of India`s rice dishes is the Biryani, an elaborate Mughal dish made from spiced saffron rice cooked with vegetables and finely garnished with fresh peas and potatoes. A layered rice dish, it is a one-dish meal that is both nutritious and beautiful to serve. Usually made on special occasions and festival, Biryani is a favourite at wedding and celebrations. 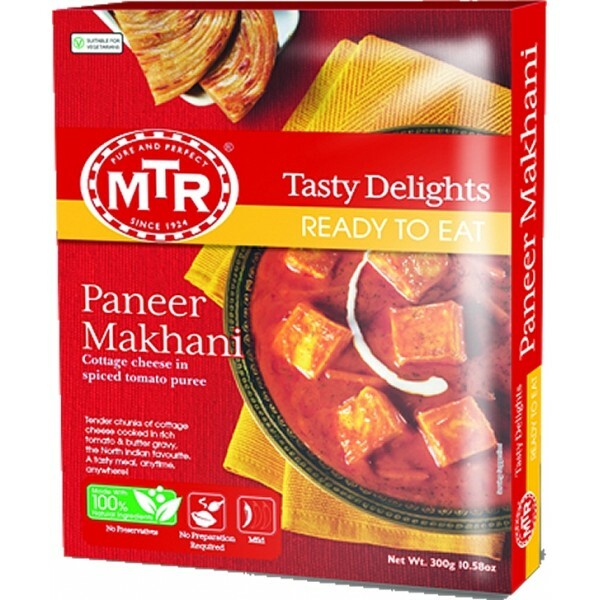 Tender chunks of cottage cheese cooked in spicy onion sauce, the North Indian favourite. A tasty meal, anytime, anywhere! Fully cooked and ready to serve; just heat and eat! Tender chunks of cottage cooked in rich tomato and butter gravy, the North Indian favourite. A tasty meal, anytime, anywhere! 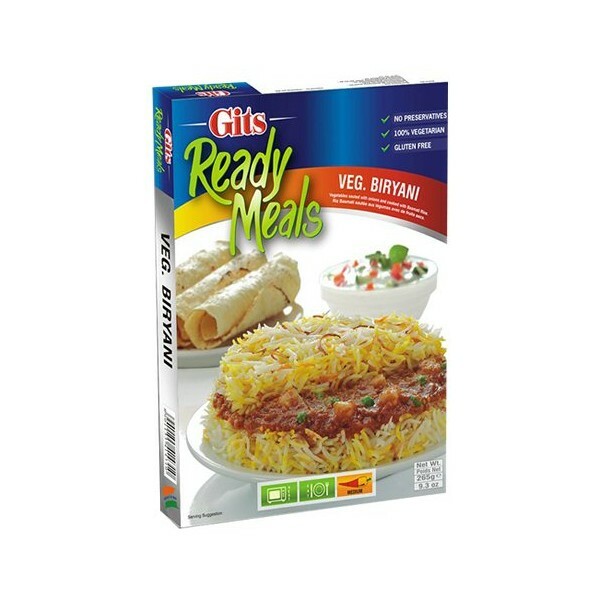 Fully cooked and ready to eat; just heat and serve! 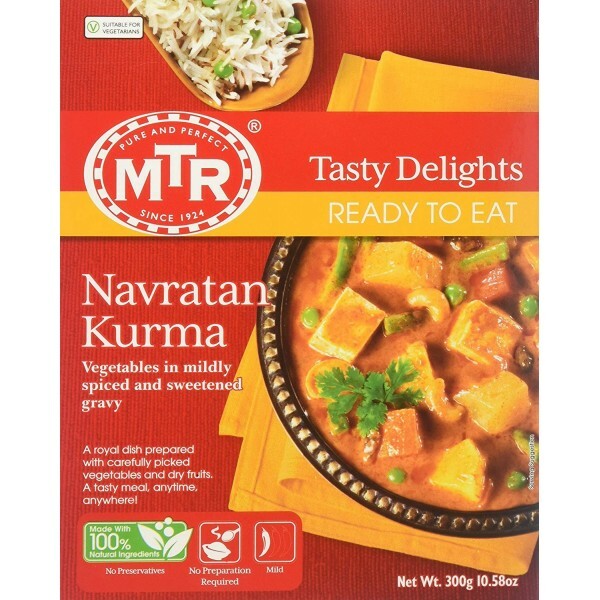 MTR Navratan Kurma. 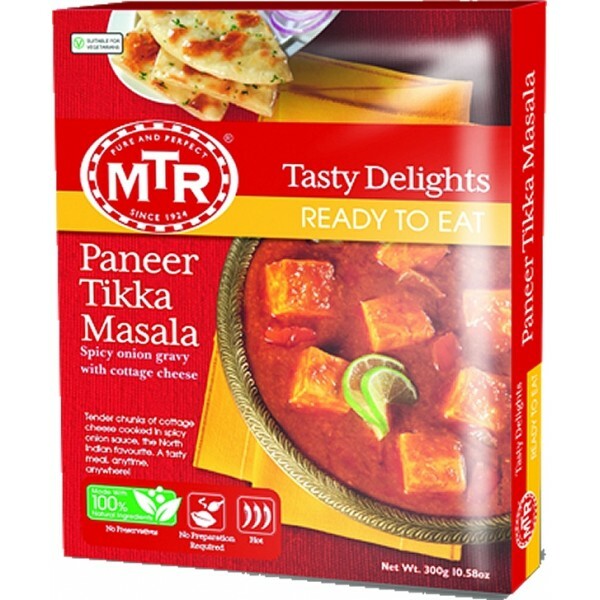 Fast, easy and convenient – and best of all, healthy and full of the authentic flavours of India! Black lentils simmered with butter, a signature delicacy from Punjab. 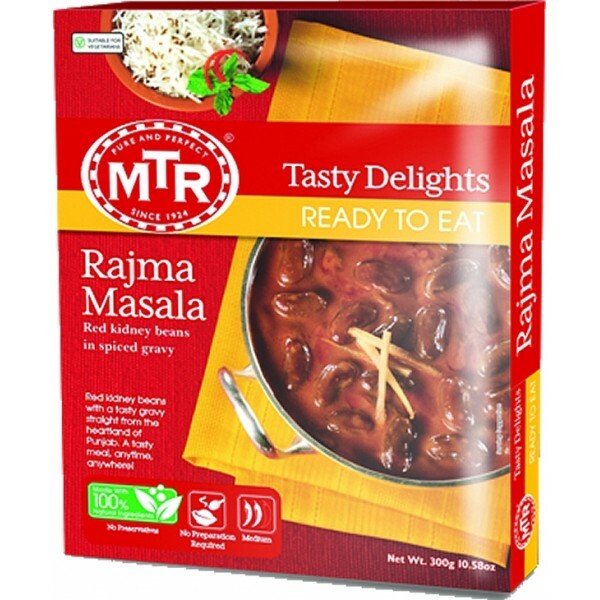 Our classic recipe also features red kidney beans, chickpea splits, green and red chilli, ginger, coriander, garlic and fenugreek leaves. 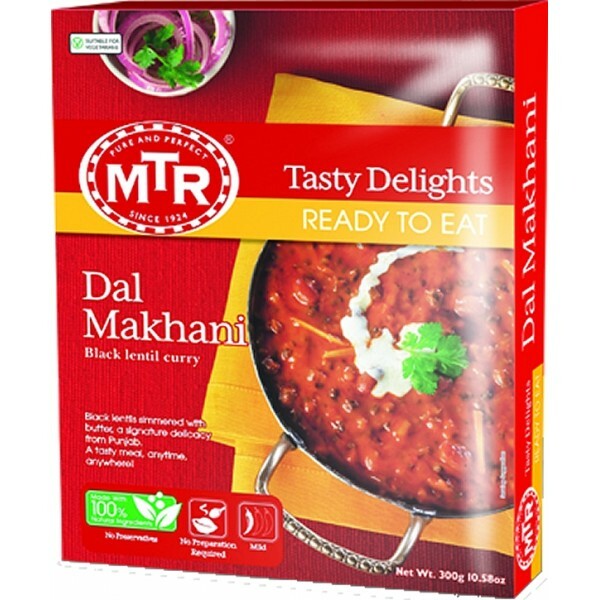 Dal Makhani is one of our most popular dishes that can be eaten as a quick and easy to prepare lunch at work, or as part of your evening meal with your favourite rice on the side. 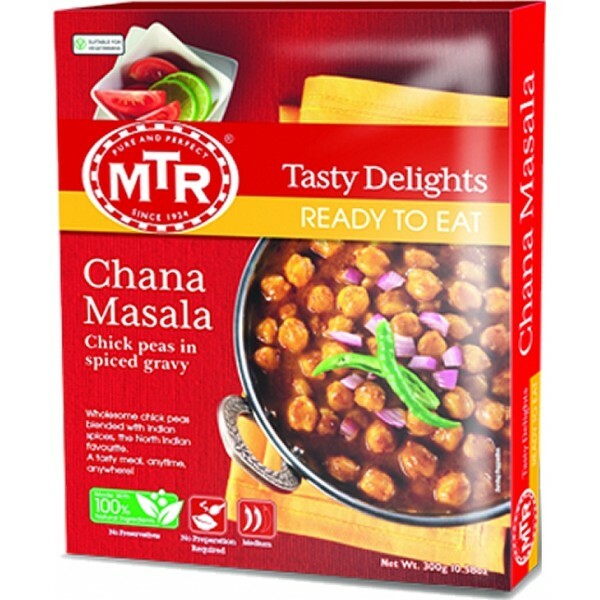 Wholesome chickpeas blended with Indian spices to give you a delicious gravy. Taste this for the true North Indian taste experience. Fully cooked, just heat and serve. Spiced spinach gravy with cottage cheese. 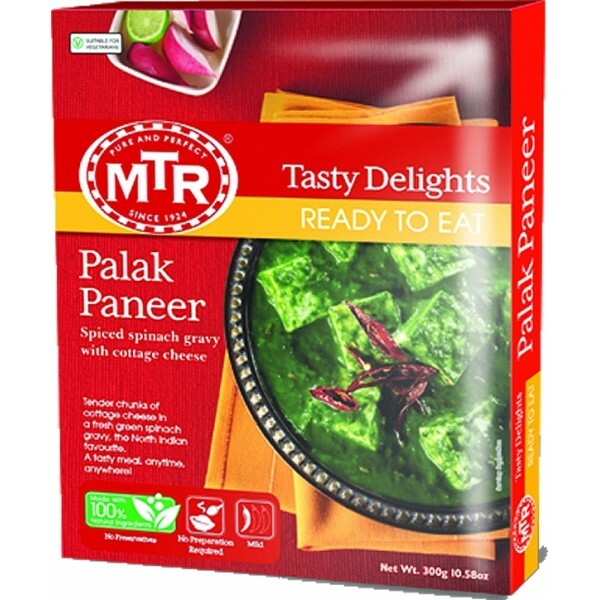 Tender chunks of cottage cheese in a fresh green spinach gravy, the North Indian favourite. A tasty meal, anytime, anywhere! 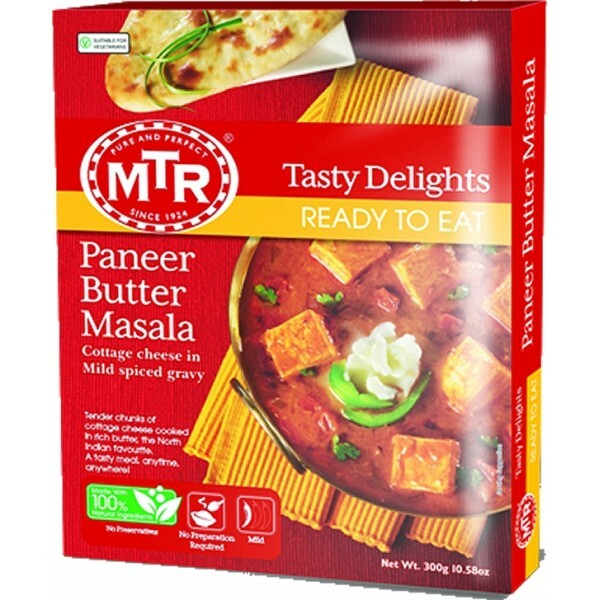 Tender chunks of cottage cheese cooked in rich butter, the North Indian favourite. A tasty meal, anytime, anywhere! Fully cooked and ready to serve, just heat and eat! Red kidney beans in spiced gravy. Red kidney bean with a tasty gravy straight from the heartland of Punjab. A tasty meal, anytime, anywhere! Cooked Rice With Pepper & Tomato Soup. 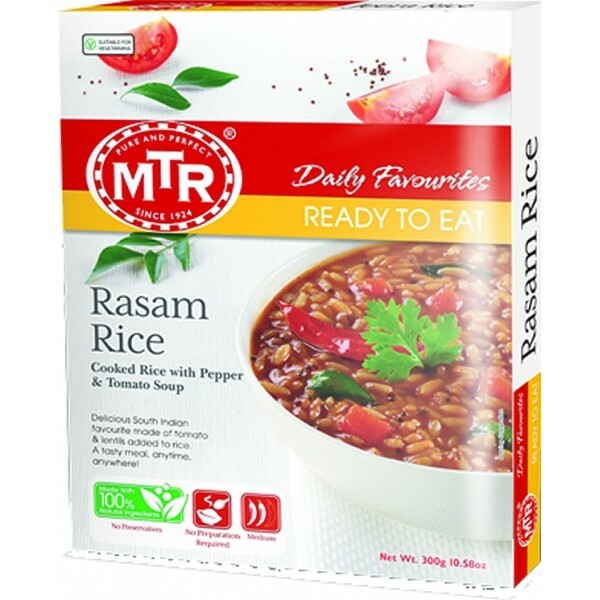 Delicious South Indian favourite made of tomato & lentils added to rice. 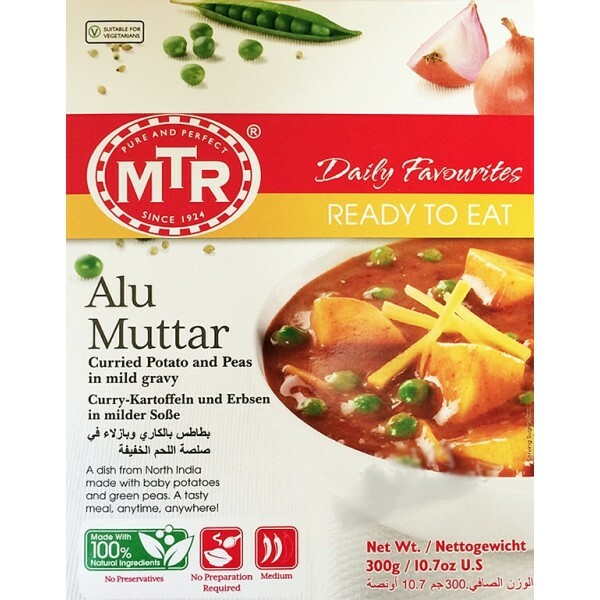 A delicious, rich gravy made with baby potatoes and green peas, to give you the flavour of North India. Fully cooked and ready to eat. Just heat before serving.